-Sunday Worship Service: 10:00 a.m.
-Healing School (Wednesday's): 6:15 p.m.
-Wednesday Night Bible Study: 6:45 p.m.
You can also watch our Services live on Facebook (Word of Faith St Thomas). 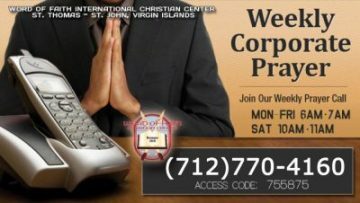 Please like and follow our Facebook page "Click Here"
You can also watch our Services live on YouTube (Word of Faith St Thomas). Please like and follow our YouTube page "Click Here"
You can also view and/or listen to previously recorded SERMONS archived on our website here.